Bodenseo, Your competent training partner in Python courses and other programming languages classes. We offer courses in Eastern Canada and nearby U.S. States - Ontario, Quebec, the Maritimes, and North-Eastern U.S. - in core cities and their surrounding areas - such as Toronto, Montreal, Halifax, New York, Boston, and Chicago. In-house courses are possible all over Canada and the United States, e.g. Vancouver, Calgary, Washington, San Francisco, just to name a few places. 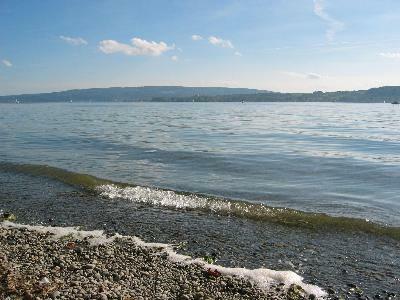 Alternatively, you can attend one of our courses at Lake Constance. The meanings or we should better say the various meanings of Bodenseo: First of all its an allusion to Bodensee, which is the German word for Lake Constance. So, we invite you to be one of our successful participants! Courses in Toronto and On-Site Training Courses all over Canada! Bodenseo, with customers in eleven European countries, has a superior reputation as a high quality provider of computer programming courses for beginners, intermediate and advanced levels. The courses offered cover a number of high-level programming languages - above all Python, one of Google's favorite -, as well as SEO, i.e. seminars on Search Engine Optimization and Marketing. The courses are targeted at software engineers and software development system administrators, as well as junior level programmers. In addition, as an extension to our SEO training class, we are offering three Marketing courses for marketing professionals, but also non-marketing professionals, including those in IT, to understand basic business and marketing concepts that are the backdrop for their work. Bodenseo has a strong focus on Python as the most promissing and fastest growing programming language. So most of our courses in Canada are Python courses. Worldwide, Bernd Klein has given nearly 130 training courses in the last three years - both in-house and open enrolment! Bodenseo's recipe for success - both the company's and the course participants - is its method of embedding its training courses in a 'learning oasis', i.e. high quality training courses in a beautiful environment. That is what the name is alluding to... Bodensee, German for Lake Constance, one of the most beautiful lakes in Europe, nearly in touching distance of the Black Forest and the Alps, a tourist area where people long to be, and where we run our courses in Germany. At the root of it all though, is Bodenseo's superior training approach - a combination of practical examples and hands-on practice, but wrapped in a great ambiance. As one customer put it, "A relaxing way of learning new things". The courses offered cover a number of high-level and official 'Google' programming languages, like Python, as well as SEO or Search Engine Optimization. The courses are targeted at software engineers and software development system administrators, as well as junior level programmers. Bodenseo has flourished on the shores of Lake Constance, so it is natural that Bodenseo wants to sprout its seeds close to the Great Lakes in Toronto. 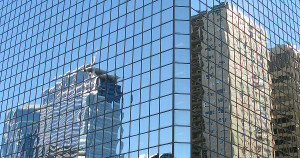 A city, ideally located for customers from Ontario, Quebec, New York, Michigan, Pennsylvania and other places from the US and Canada. Python is one of the most important languages nowadays. Python is one of the three "official programming languages" at Google, alongside with C/C++ and Java all taught by Bodenseo. But we also offer seminars for other programming languages like PHP, Perl, Shell scripting and Lisp as well. Choosing the optimal programming language is one thing, but what about the right operating system? Bodenseo has started with Linux courses and has a lot of expertise and experience in Linux. At Bodenseo, we guarantee your satisfaction. Come join us and our 'oasis for learning', and bring your computer programming skills to the next level and relevant for today's world. We already have satisfied clients in eleven European countries, - i.e. Germany, Liechtenstein, Switzerland, Austria, France, Belgium, Luxembourg, Italy, The Netherlands, Norway, and Britain. We are one of the leading providers of Python courses. If you prefer courses presented by the authors, that is what you will get at Bodenseo in Toronto. If you can't come to us, we'll come to you, i.e. the instructor travels to your location to deliver the training. At this time, On-site classes can be scheduled in Canada and the United States. Bodenseo offers reasonable prices for its training classes.